prednisone 10 mg dosepak EmmaStrong had the privilege of presenting a donation to Team Jack for their work towards bringing a Pediatric Neuro Oncologist to Omaha, Nebraska. http://publicsafetymediatraining.com/?x=order-viagra-canada It seams hard to believe it has been almost three months since we wrote the last post on here. I guess time got away from us! We have been busy with work, school, appointments and just enjoying time together. But here it is, time to go back to Boston for scans again. It doesn’t possibly seem like we should be gearing up to go back to do our next 3 month scans, but it seems time has flown by and here we are getting ready to head to Boston next week. http://acuherbal.com/?x=usa-viagra-pills-sales A look at all the kids and some of the celebrities joined in the battle against pediatric brain cancer. The last three months have gone by quickly and things for the most part have been good for Emma. She of course had to throw a few little episodes of worrying us in there, but for the most part has been healthy and felt pretty good. After our stable scans in January, we headed home and got ready to start Emma’s next round of chemo. Emma had a pretty rough time handling the oral meds on cycle 6 and we saw some of the worst nausea and vomiting from the chemo that we have seen since starting this treatment. 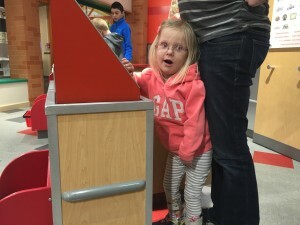 It took Emma three days following treatment to finally feel well enough to go back to school, and even then she still didn’t hardly eat anything for the rest of that week. Then just to give Mom, Dad and her daycare providers a near panic attack she broke out in a very bright red rash all over her tummy, back and face on the Thursday following the oral chemo meds. Luckily we were already planning to head to Children’s for another appointment that day, so we just stopped into the oncology clinic so they could look at the rash and treat her. All of the doctors felt it was a drug eruption, which means the rash was caused from some medicine she had taken. They gave her lots of Benadryl and by the next morning most of the rash had cleared and Emma seemed to feel better. 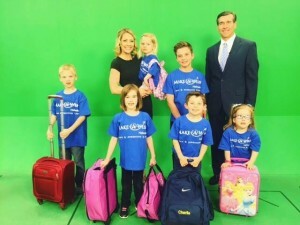 http://yachtchartergroup.com/?x=cheap-generic-viagra Emma and Aiden had the opportunity to be in an advertisement for Make A Wish Nebraska featured on WOWT. Yes, Emma has taken all of these same meds for the first five rounds of chemo and had no reaction, but apparently you can have an allergic reaction to a drug at any time. The doctors were a little unsure of what caused the rash, but thought the most likely drug was the Procarbazine, which is one of her oral chemo meds. It was a little unlikely that it would wait for four days following taking the drug for the rash to show up, but it wasn’t unheard of. Luckily the worst for Emma was itchiness, because allergic reactions to drugs can be much more serious. Thankfully they were able to get the rash under control quickly and Emma was back to her self in about a day. 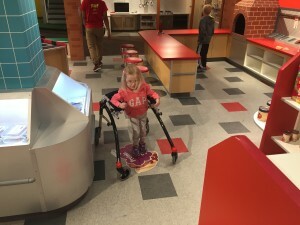 follow link Emma also got to spend some time at the Omaha Childrens Museum because of “Clean Night” – We had a blast. 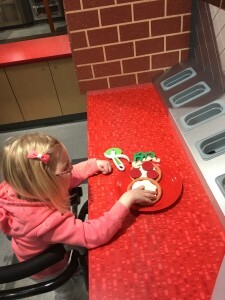 After talking with another parent in the Chicago area whose son was starting TPCV we found out that Chicago was able to compound two of the three oral meds that Emma takes for chemo. It took a lot of talking and discussing with the pharmacists here, and it involved Brent actually compounding one of the drugs while the pharmacist watched, but we were able to get two of Emma’s chemo meds into liquid form for this round of chemo. It made giving Emma the meds so much easier!! Emma didn’t feel great during oral meds this time either, but it was better than the round before. 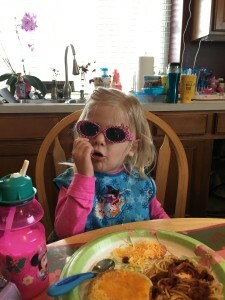 Since Emma had the allergic reaction to the Procarbazine in the previous cycle, the doctors decided that for round 7, they would pre-med her with a antihistamine to hopefully stop the allergic reaction from happening again. The biggest concern was that the reaction this time could be even worse and more painful for Emma. We thought maybe it had helped, but then on the Thursday after oral meds this time, she once again broke out in a rash on her trunk, back, and face. Initially the rash didn’t look as bad, but after a few hours and even after having meds it ended up being as bad as the first time. http://toolsforwriters.com/?x=viagra-wonder-drug-ethical-responsibility-of-companies She is a big fan of making pizza at the Childrens museum as well. We continued to give her prescription antihistamines and Benadryl through the night, and thankfully by morning most of the rash was gone again. It is worrisome that the chemo med is causing these allergic reactions, but the doctors are trying hard to find a way to manage it, because she only has one cycle left on this treatment (which is only four doses of this med). We will see what the doctors in Boston say next week. There has been a lot of debate about if we can continue to give her this med and put her at risk of an even worse and more serious reaction, or if we can continue to try to pre-med and hope to get her through it one more time. 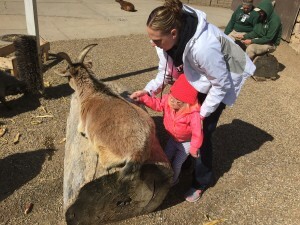 http://alaskafamilylawblog.com/?x=global-drugs-direct-viagra-sales Spring Break spent wisely brushing goats at the Zoo. We were excited to once again attend the Team Jack Gala in Lincoln on March 5th. As always it was an amazing and emotional evening. We always enjoy getting to see and catch up with many of our fellow brain tumor families and of course help to raise awareness and funding for this awful disease. We were honored this year to be able to donate $25,000 to the Team Jack Foundation, which will be used to help bring a pediatric neuro-oncologist to Omaha so that our children here in Nebraska can receive the specialized care they need. We were very honored and thankful to be able to make this donation. The money that was donated was the proceeds from the EmmaStrong Drive for a Cure golf tournament last year and last year’s t-shirt sales. It is because of all of you who continue to support us and our mission to find a cure that made this donation possible. We are so incredibly thankful to each and every one of you who helped to make this possible. Because of you we are making a difference for our kids here in Nebraska who fight this disease each and every day. Thank you for helping to make a difference!!! http://ecoluxinteriors.com/?x=generic-viagra-us Emma was being a cashier and really happy about it. We are also excited to start organizing the 3rd annual EmmaStrong Drive for a Cure. After such a great turn out and such amazing support which allowed us to make such a meaningful donation to help our kids fighting this disease, we are looking forward to another great tournament this year. The golf tournament will be held on June 25th at Eagle Hills Golf Course in Papillion. We are just starting to get things organized for this year, but once again will be looking for golfers, event sponsors, hole sponsors, donations for the silent auction and volunteers to help the day of the event. If you are interested and would like to take part in any part of the tournament, please contact us at iamemmastrong@gmail.com. There should be more specific information such as registration and sponsorship opportunities posted on the website within the next week or two. Many of you have been a part of the tournament in the past and we would love to see you again. For those of you who haven’t been to the tournament, we would love to see you there this year. We are excited for another great tournament this year and thank you all for your help. 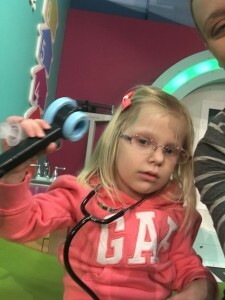 go site Emma always wants to be a doctor!! We are looking forward to spending Easter weekend celebrating with family, and then we will be off to Boston on Tuesday. Emma will have her MRI scans done on Wednesday morning and then we will see her team of doctors in clinic that afternoon where we will get the results. As always the anxiety of scans is starting to set in. Unfortunately, you never know what the results will be and we know what it is like to get news you weren’t hoping for. We are praying for stable results so that we can come back and do Emma’s last round of this treatment. We are also hoping to come back with a solid plan for how to administer the next round of chemo and hopefully be able to give Emma all of the drugs and avoid another allergic reaction. If you wouldn’t mind saying a few extra prayers this week for stable scans, patience for Mom and Dad, and a safe, uneventful trip, we would very much appreciate it. Your prayers and support is what keeps us strong on these hard days. Thank you for all of your continued support! EmmaStrong!!! http://cinziamazzamakeup.com/?x=levitra-20-mg-senza-ricetta-online-in-italia Emma’s future with a possibility of no chemo is so bright she has to eat lunch with her Minnie glasses on.